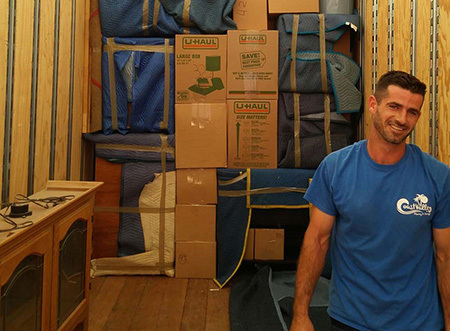 If you’re looking for established, reputable movers in Oceanside, look no further than Coast Valley Moving & Storage. We have been proudly serving the relocation needs of residents and businesses throughout Oceanside and the surrounding areas for more than 40 years and are proud to have thousands of happy customers to show for our great service. Throughout our time in business, our professionalism and dedication have also earned us accreditation with the Better Business Bureau (BBB) as well as the prestigious designation of ProMover from the American Moving & Storage Association. As an agent of Wheaton World Wide Moving, one of the premier transportation companies in the industry, we can handle virtually any Oceanside moving need! Read on to learn more about our vast relocation capabilities. Moving your household is a huge undertaking; let the experts at Coast Valley taking some of the stress out of your relocation! We are dedicated to your complete satisfaction with every part of your move experience, so we always pair you with a dedicated Move Coordinator to facilitate your transition. He or she will be a highly-trained member of our team who will provide support, guidance and assistance throughout all stages of your move in Oceanside. From selecting the right services for your unique needs to overseeing the staff on the big day and addressing all your questions and concerns, your Coordinator will help you every step of the way. In addition to the array of moving services that we offer to our Oceanside customers, Coast Valley also offers flexible, long and short-term storage options in any of our safe and secure warehouses. For business and household items alike, the Oceanside storage pros at Coast Valley can provide you with the storage solutions you need. For more information about any of our valuable moving and storage options in Oceanside, CA, call Coast Valley today! You can speak to one of our friendly, helpful representatives or fill out our quick online form to get started.